With the improvement of economy and the increasing of people’s environmental awareness, more and more countries are paying more and more attention to garbage problems. Therefore, the garbage management is particular important. In general, the management of municipal solid waste mainly consists of three components: waste separation, collection and disposal. As we all know, garbage is mainly divided into four categories: recyclable garbage, food waste, hazardous waste and other garbage. The immature garbage classification makes the current garbage collection method mainly focus on mixed collection. The mixed collection means that a variety of municipal solid waste is mixed together and collected without any treatment. Its advantages and disadvantages are both obvious. 3. No time limit, the garbage can be dumped at any time. 3. Increase the follow-up sorting for handling waste. 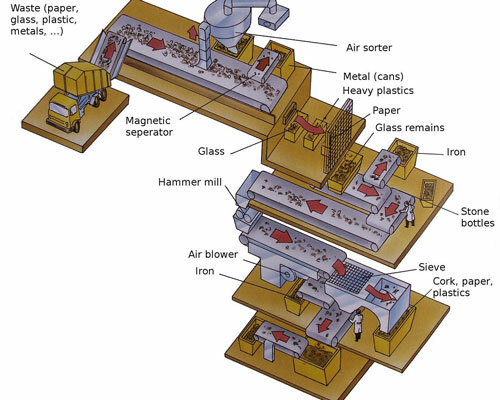 The scientific classification of waste is the basis of garbage reduction, harmless, and resource processing. Mix is rubbish, separate is the resource. In some countries, classification of trash started late, and the public garbage classification awareness is still relatively weak. As a result, the garbage separation has just started. But the developed countries garbage sorting started early, so the classification of trash is very fine, in place. The following table lists the garbage classification practices in some of the developed countries. 2. 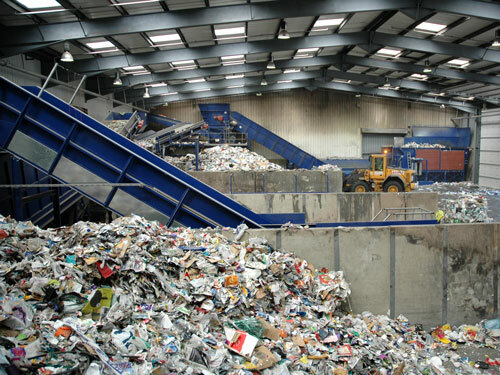 Domestic waste is divided into four categories: household waste, plastic packaging garbage, paper waste, biological waste. For example: glass bottles and electronic waste need to be treated separately; paper towels belong to biological waste rather than paper. 4. Government propaganda in place: solid waste sorting is included into all aspects of life, well-known. 2. Re-use of garbage about 3,000 tons per day. These countries have a relatively complete garbage disposal program, and the garbage can be disposed and recycled in Apple pie order. In the other countries, most of the governments gradually pay attention to the solid waste processing, and also consciously control the waste disposal in the pilot cities. However, the lack of mandatory, national, clear mandate of the garbage classification management system makes the garbage recycling difficult. 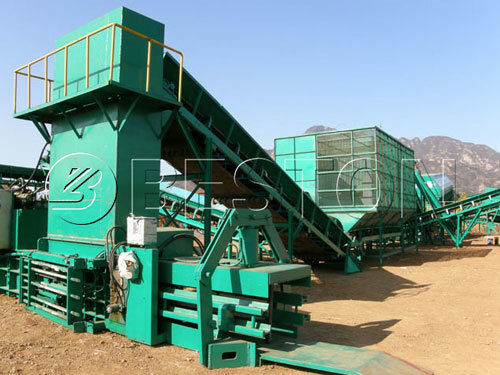 The establishment of waste recycling system requires a particular rule to be bound. 3. Lack of practicality: such as the municipal solid waste sorting mentioned in “municipal solid waste management approach” does not specify how to classify. 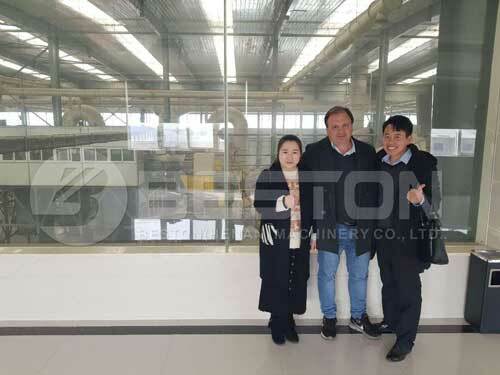 Beston Machinery has been specialized in the manufacturing, design, installation, commissioning and technical service of municipal solid waste management plant for more than 18 years. 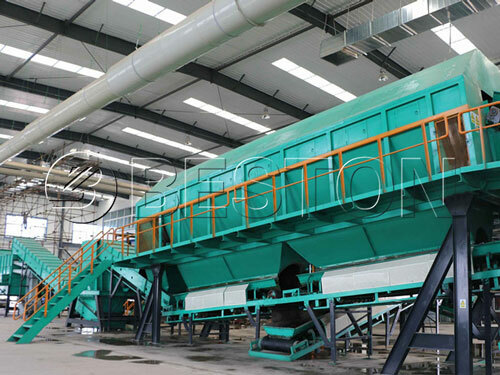 After processed by the waste recycling plant for sale, the useful resources in the solid waste can be sorted out and can be further taken use of, which can achieve the pollution-free, zero emissions, no surplus, resource-based, sound comprehensive treatment. 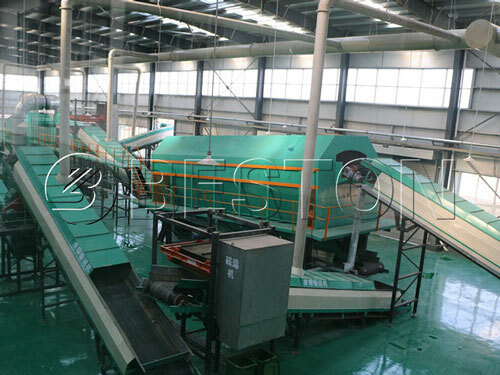 The solid waste sorting machine has been built in many site both at home and abroad, and has received wide praise.